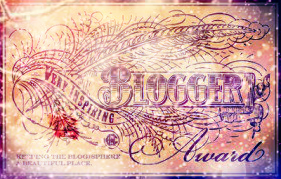 Rosaliene: Congratulation to you on your Very Inspiring Blogger Award. We look forward to your posts… please continue giving us your insights on the many subjects you cover in your Blog. Cheers!! Thanks, Cyril. Your support is my strength. Rosaliene, congratulations on achieving the Very Inspiring Blogger Award, which was well deserved. Best wishes for continued success in your literary endeavors. Thanks, Deen. The journey to publication is a long one. Thanks for dropping by, Sasha. I’ve completed my first novel set in Guyana and am currently seeking an agent/publisher to get it on the market. Seriously, I appreciate what your blog contributes to the world. Thanks for your generous praise for my blog, Claire. For me, openness came with time. When I was able to accept the failings of others, I was able to accept mine. Self-acceptance was my first step towards openness. Rosaliene – I’m with Dr. Stein in him naming you as a Very Inspiring Blogger. I’m also truly honored to be nominated myself, especially coming from you.Thank you… and yes, each of us does share the same humanity. All the best for everyone. Thanks, Bruce. Your inspirational messages keep me going. Though belated : Much and Many Congratulations, Rose – a wonderful award! Thanks, Robin 🙂 How the years go by! I love this quote of yours.